I agree with both Breton and Artaud that being in Mexico can astonish in certain fierce places. At Teotihuacan, the pre-Hispanic Aztec site near Mexico City, I once walked along the Avenue of the Dead and climbed to the top of the Pyramid of the Sun, the largest pyramid in Teotihuacan and one of the largest in Mesoamerica, just as a huge thunderstorm rolled in. That scary and sublime experience opened up a freaked-out electrical understanding of Aztec life and artifacts to me in a way that no museum or book had. I experienced an immense sliding of Mexico into electrified, wet darkness as crescendo upon crescendo rang out around me. One moment form appeared solid and firm, and the next fleetingly cloud-like and darkly fugitive. Transmitting something of the searing intensity of this conquest of the psyche, excerpts of ¡Que viva México! (1932) are projected large in this exhibition’s second gallery. It is a black-and-white film about Mexico by Sergei Eisenstein, the Soviet film director theorist who pioneered montage, and Grigori Aleksandrov. Like many Leftists, Eisenstein was enthralled by the Mexican socialist revolution in 1910 and in 1927 he had the opportunity to meet the Mexican muralist Diego Rivera, who was visiting Moscow for the celebrations of the Russian revolution’s 10th anniversary. Rivera had seen Eisenstein’s film The Battleship Potemkin (1925), and praised it by comparing it to his own work as a painter in service of the Mexican revolution. Unsurprisingly, the paintings and sculptures in this Grand Palais exhibition do not quite reward either fierce mystical musings or revolutionary expectations. 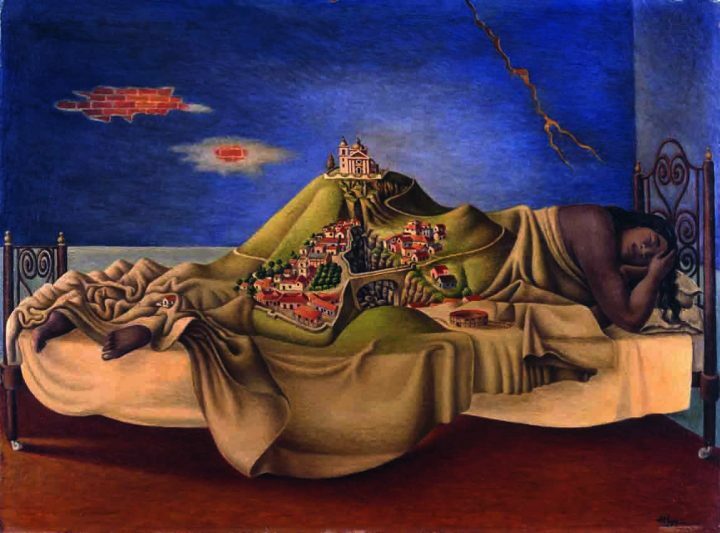 However, there are many works to enjoy by Frida Kahlo and los tres grandes Mexican muralists — Rivera, David Alfaro Siqueiros, and José Clemente Orozco. 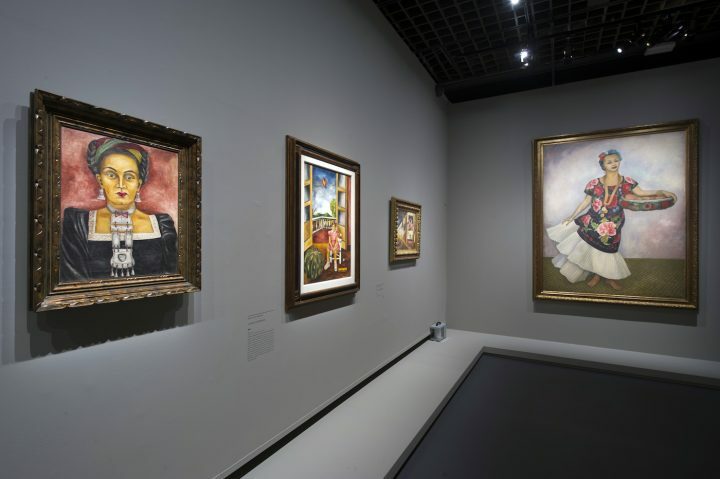 Standouts include Rivera’s Neoclassical, Picasso-inspired “La Molendera” (“Woman Grinding Maize,” 1924); Kahlo’s “Tanto Frida” (“Both Fridas,” 1939) and “Autorretrato con el pelo corto” (“Self-Portrait with Cropped Hair,” 1940) — painted shortly after divorcing Rivera; Siqueiros’s pretentious self-portrait “Autorretrato (Le Grand Colonel)” (1945); and Orozco’s quite beautiful image “Les Femmes des soldats” (“Wives of Soldiers,” 1926). Tina Modotti’s photograph “Guitarra, bandolera y la hoz” (“Guitar, Bandolier and Sickle,” 1929) and Lola Álvarez Bravo’s “Retrato de Lola” (“Portrait of Lola,” circa 1930) are excellent, Constructivist style works. 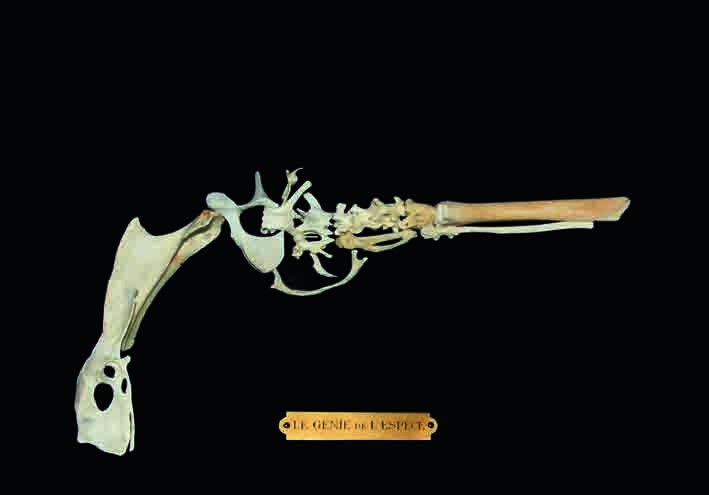 But it is the German-Austrian-Mexican artist and art philosopher Wolfgang Paalen who picks up the mortality mockery mood I so enjoy with his assemblage “El genio de la especie (formación de hueso una pistola)” (“The Genius of the Species [Bone Formation Gun],” 1938). Paalen was Jewish and a member of the Abstraction-Création group and Surrealist movement in the mid-1930s while living in Mexico after fleeing the Nazis. 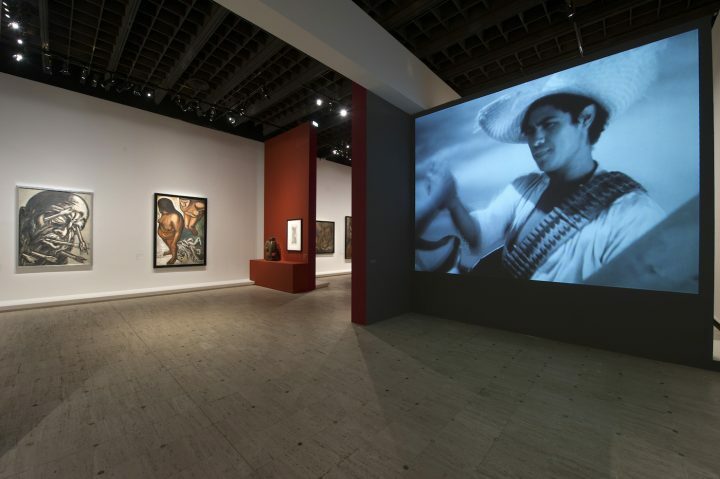 Other Surrealist types in the show include Kahlo, Antonio M. Ruíz (nicknamed “El Corcito” for his resemblance to the then-popular matador Torero El Corcito), the Guatemalan artist Carlos Mérida, José Horna, Leonora Carrington (also a founding member of the Women’s Liberation Movement in Mexico during the 1970s), and Alice Rahon, but Paalen was unique in founding his own counter-Surrealist art magazine, DYN, in which he tried to reconcile diverging materialist and occult tendencies in Surrealism with his philosophy of contingency. His boney gun and the excerpts from ¡Que viva México! transmit better than the paintings featured here the mood of simultaneously honoring and mocking death typical of the Day of the Dead celebrations that I have experienced in Mexico. 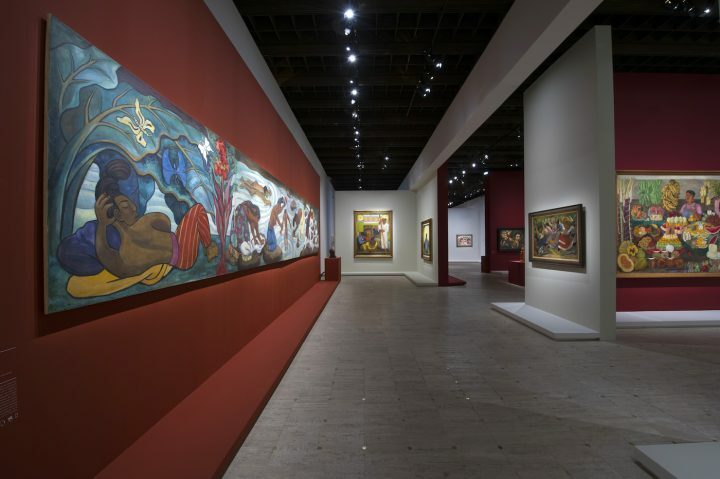 I found the paintings in Mexique 1900–1950 a bit disappointing at first, until I placed some of them within the larger context of the mysticism of the Mexican Baroque tradition, which spanned from the middle of the 17th century through the late exuberant period of the 18th century. Unlike the early-20th century Mexican avant-garde’s adaptation of the Parisian avant-garde, the Mexican Baroque was neither an acceptance nor a negation of European aesthetics, but rather a fine and decadent abuse of them. This highly colorful Mexican brand of Baroque took gilded European conventions and whipped them rapturously into a glazed, colorful frenzy. The Mexican Baroque can teem with the all-over symmetrical complexities of shiny throbbing flowers, twisting leaves, spinning clouds, and dazzling embedded figures that I detected in the excessive flourishes of Kahlo’s “Le Cadre” (“The Frame,” 1938) and Ramón Cano Manilla’s “Indienne d’Oaxaca” (“Oaxaca Indian,” 1928), with its Henri Rousseau style of over-doing the naïve norm. During one of my visits to Mexico, I found a good example of the mystic, saturating tendency in the late-Baroque Catholic church in the tiny Mexican village of Santa Maria Tonantzintla. Here, an excessive talavera decorative web danced around me in unrestrained profusion and forms seemed to explode with pleasure as everywhere foliage glistened, leaves shined, angels hovered, and carved fruit exuded thick drops of dark honey. Such syncretist excess is typical of the late-Hispanic Baroque, which is also called the Churrigueresque, after the Spanish architect José de Churriguera. This period has been called an exaggeration or overdetermination of the Baroque to such an extent that it marked the end of that era. The decadent Mexican exaggeration of European Baroque style explains a lot in this exhibition to me, particularly as it opens with Rivera’s “Retrato de Adolfo Best Maugard” (“Portrait of Adolfo Best Maugard,” 1913) and Ángel Zárraga’s decadent “La Femme et le Pantin” (“Woman and Puppet,” 1909). Zárraga’s is clearly a work heavily influenced by Decadent French theory, which is almost equivalent to the fin de siècle Symbolist theory. The foremost Decadent visual artist, in my estimation, was the extraordinary Félicien Rops, whose masterpiece “Pornokratès, La dame au cochon” (“Pornokratès, Lady and Pig,” 1878) seems to have registered particularly powerfully with Zárraga. As in “Pornokratès,” there is a discernible taste for the Symbolist theory of French poets Jean Moréas and Stéphane Mallarmé in Zárraga’s puppet painting. I agree with Lucy Lippard’s assessment in The Lure of the Local that “space combined with memory defines place.” By looking backward into my memories of Mexican architecture while exploring Mexique 1900–1950, the show took on for me some of the added benefits to the imagination that mystical decadence offers. 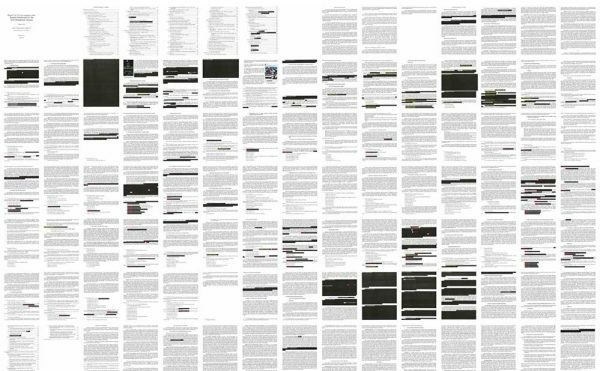 Mixing that with formal experimentation based in excess and political revolution make for a heady brew — just the libation called for in our time of right-wing, demagogic populism. Mexique 1900–1950 continues at the Grand Palais ( 3 Avenue du Général Eisenhower, eighth arrondissement, Paris) through January 23, 2017.